Peru, 2A, Parque Empresarial Noroeste, 28230 Las Rozas, Spanje. 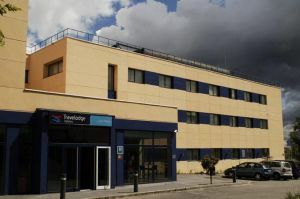 Hotel Travelodge Las Rozas, inaugurated in 2004, was the first hotel of the chain which opens its gates on the European continent. It is located just nearby the A-6, and close to the main industrial parks of Las Rozas and at just 30 minutes from the city centre, coming by road or from the next railway station of Las Matas. 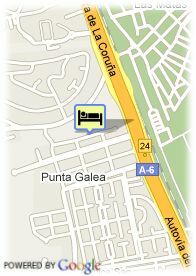 Its 79 large rooms offer the necessary comfort for those travelling with business purposes, or in holidays, as well. Furthermore, it has a full snack-bar, Internet corner, Wi-Fi in the common areas, selling machines and free car parking for the clients.